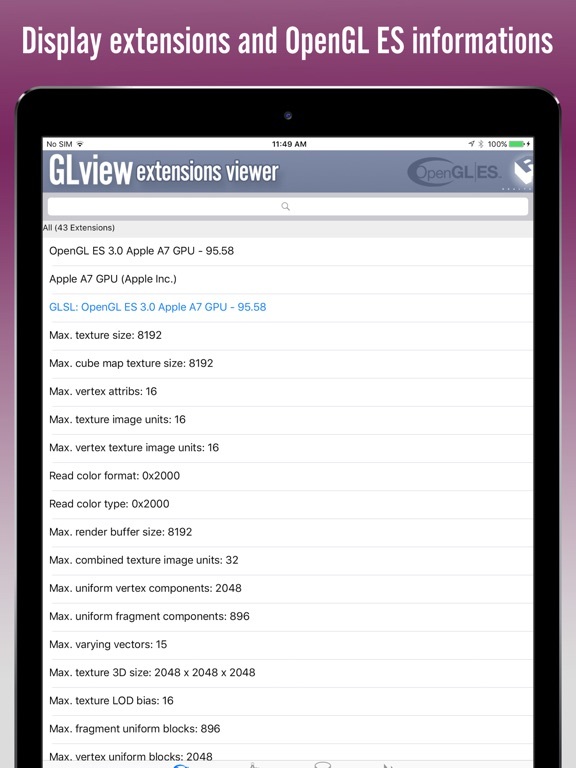 OpenGL Extensions Viewer for iOS displays the vendor name, the version, the renderer name and the extensions for OpenGL ES 1.1, 2.0 and 3.0 and Apple Metal. 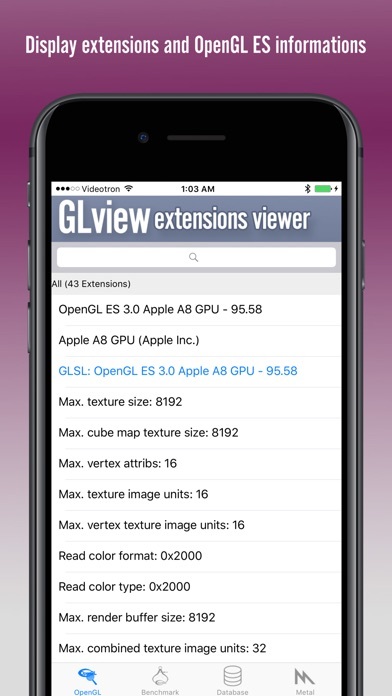 From the makers of the famous OpenGL Extensions Viewer on PC and Mac, the iPhone version can access each extension documentation, shader capabilities and also features a benchmark for OpenGL ES 1.1 to ES 3.0. 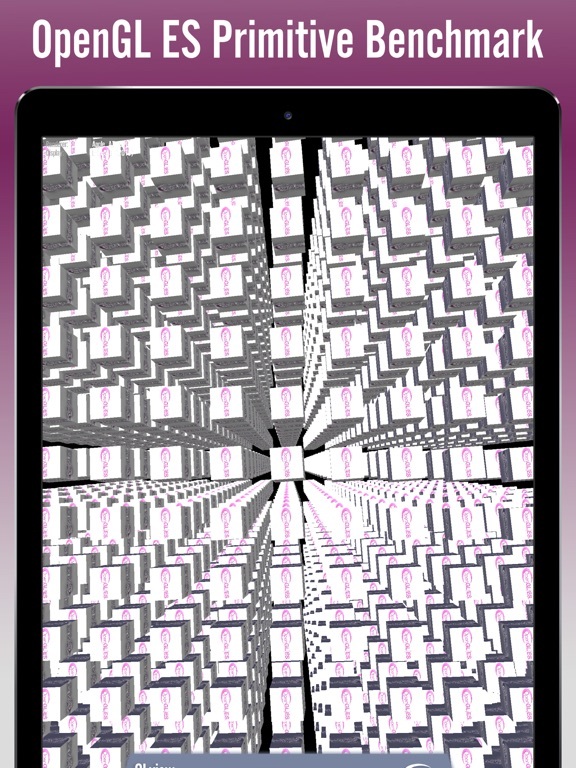 Ideal if you are developing application for iPhone, or want to compare between every iPod and iPod model. 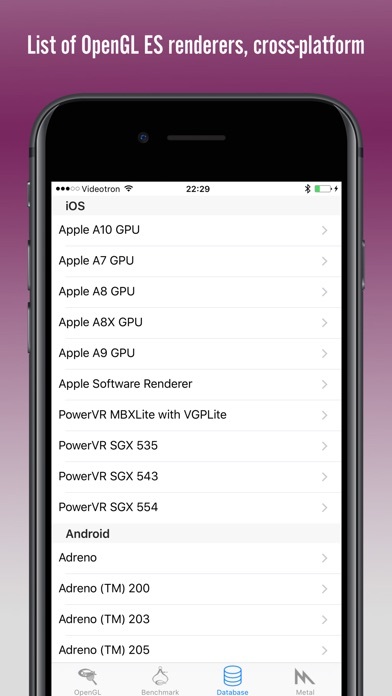 CPU information, iOS revision are also reported. • Reports iPhone/iPod hardware information (CPU frequency, Bus frequency, Operating System, Device Name, CPU model). 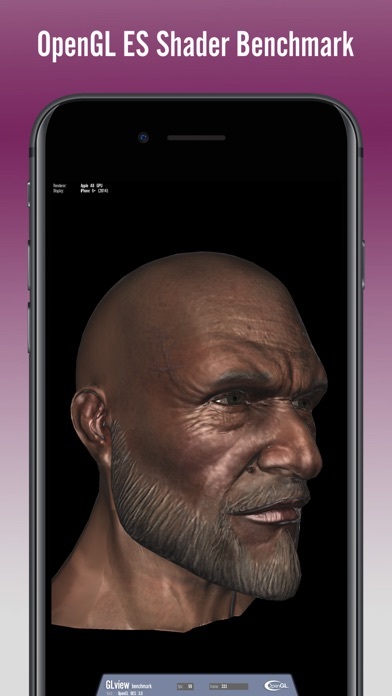 • Reports OpenGL ES information and gives access to OpenGL Extension specification online (requires internet connection). 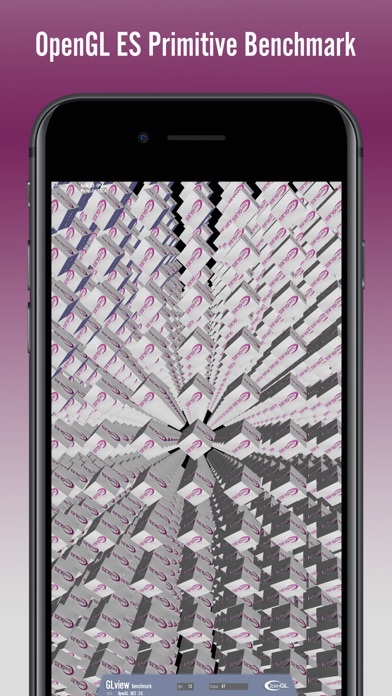 • Reports Metal iOS 7 API feature level..
• Allow to test graphical rendering tests for OpenGL ES 1.1, 3.0, and supports features like Multisample anti-aliasing. 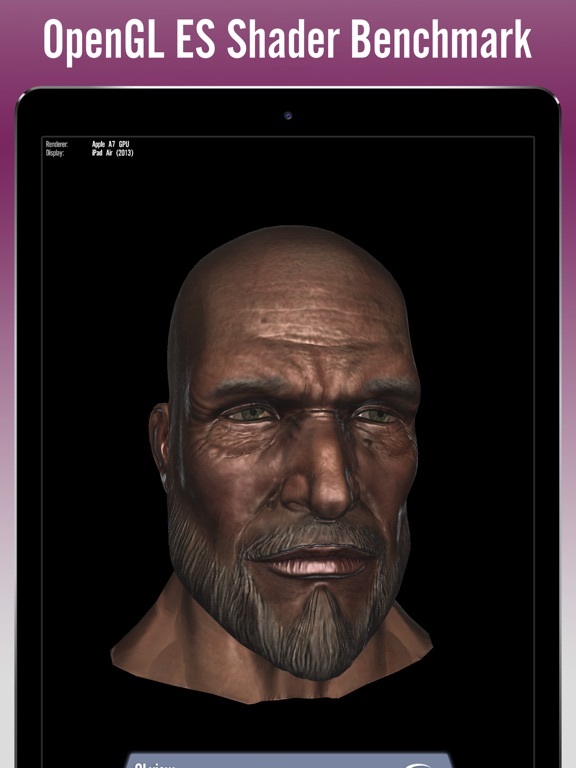 • Submit your OpenGL information into to the Cloud storage and check the results on the Mac and PC version. This update includes iOS 12 and Metal 2 capabilities reporting.